Textor is like TextEdit for iOS. On the Mac, you can quickly open up and edit any text file using TextEdit. And while there are a ton of great text-editing apps on the iPad and iPhone, none of them is quite as simple as the Mac’s built-in app. 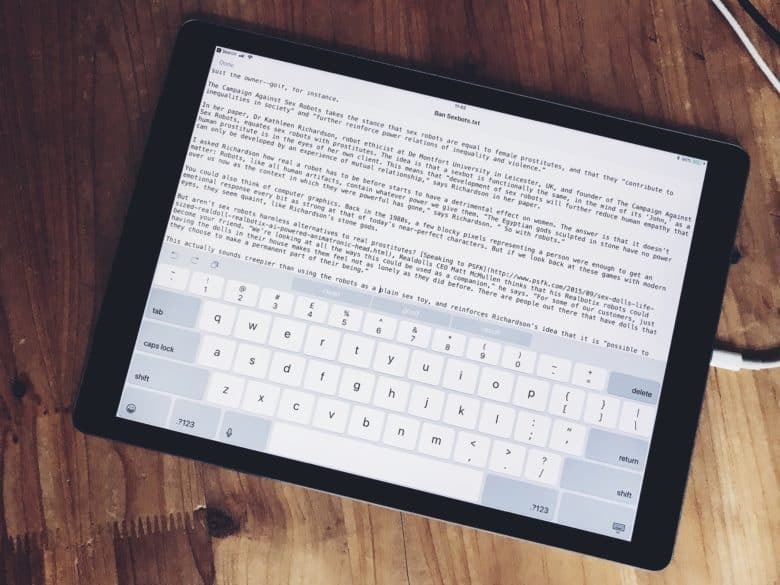 Until now, anyway: Textor combines the iOS 11 Files app with an ultra-simple text editor, making it possibly the quickest and easiest way to quickly view, edit and even create new text files on an iPhone or iPad. Plain text doesn’t get much plainer than this. Textor works in two ways. The first is as a regular app. When you launch Textor, it opens into a Files window, which shows you the files on your iPad and iCloud Drive. You can switch between a screen showing recent documents, or a view to browse the entire contents of your iPad and iCloud Drive. You can also browse Dropbox, Google Drive and other such services. Tap any text file to open it. Textor can open any sort of text file, from Markdown to TXT to RTF, and even some files that don’t appear to be text files. If you try to open a file that isn’t compatible, you get an error and that’s it, so it pays to tap around. Textor also works on iPhone. Textor can also open a text file using the standard iOS share sheet, so if you have a file in another app, you can share it to Textor and open it that way. 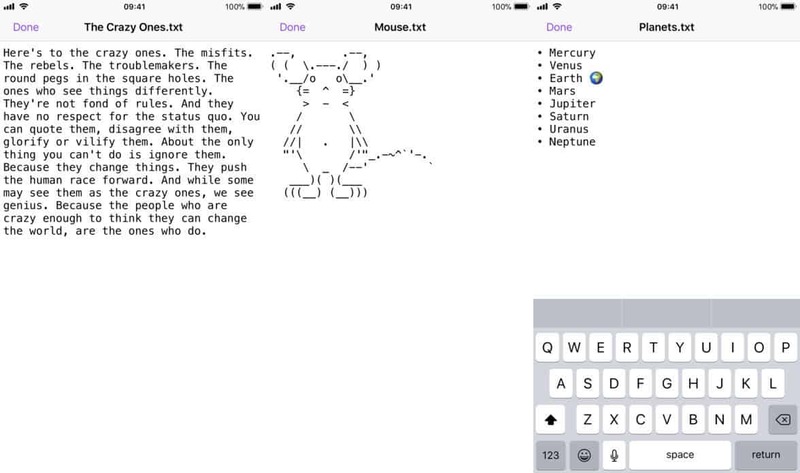 To edit text, Textor uses the standard text view and editors built into iOS. 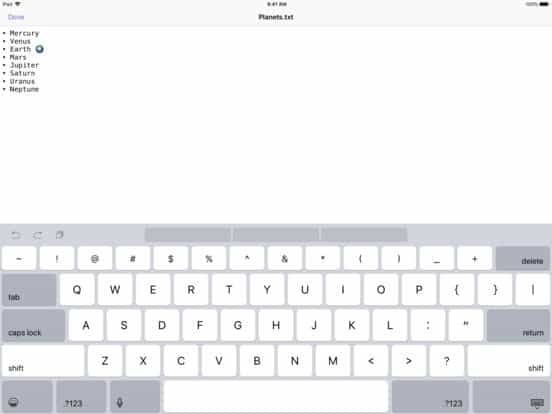 There are no fancy features — just a text field and a keyboard. If you have an external keyboard hooked up, that works, too. If you’re looking for something with extras, look elsewhere. Textor delivers the bare bones and nothing more, but that’s kind of the point.